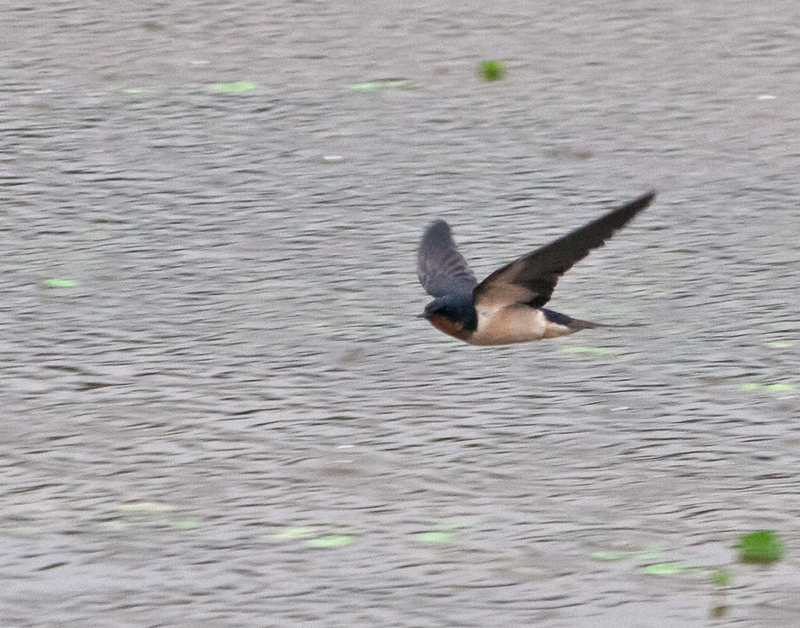 As I watch Barn Swallows (Hirundo rustica) flying, I am amazed at their aerial acrobatic skills. They change direction in such unpredictable ways and swoop up and down so quickly that I thought that I would never be able to capture them in flight. However, one day this past weekend I spent some time observing them more closely and eventually I decided to try to get some in-flight shots. 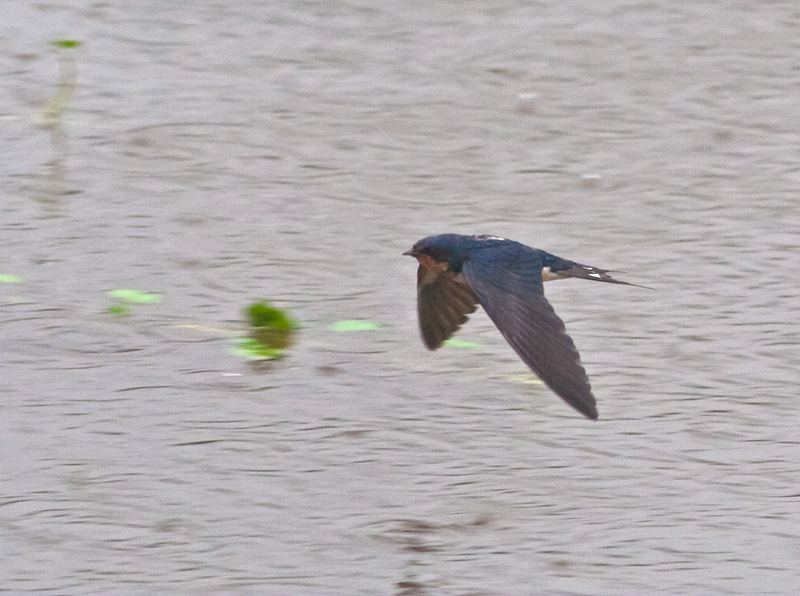 Most of my shots were either blurry or the swallow was only partially visible in the frame, but I was able to get a few decent (or at least recognizable) shots of a swallow swooping down over the water. Nice. These are tough shots to get-I’ve tried too. Thanks. Persistence helped in my case. I took a lot of shots and tracked a lot of birds before I got a few decent shots. They are quite a challenge to photograph. Nice photos.